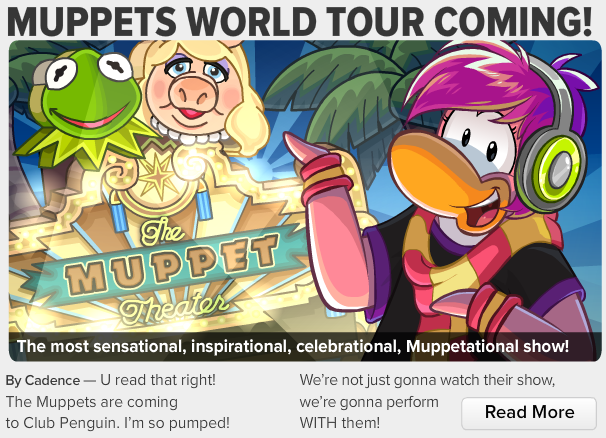 The Muppets World Tour 2014 is coming to Club Penguin this month. Cadence gives explains to use a few things about the fair and what we'll be doing. We're going to perform with The Muppets on stage! If you click the button that says 'click here to read more' then you can read the rest of what cadence says. Did you notice that emoticon Cadence used at the end? Will that be an emoticon we will be able to use at the party? 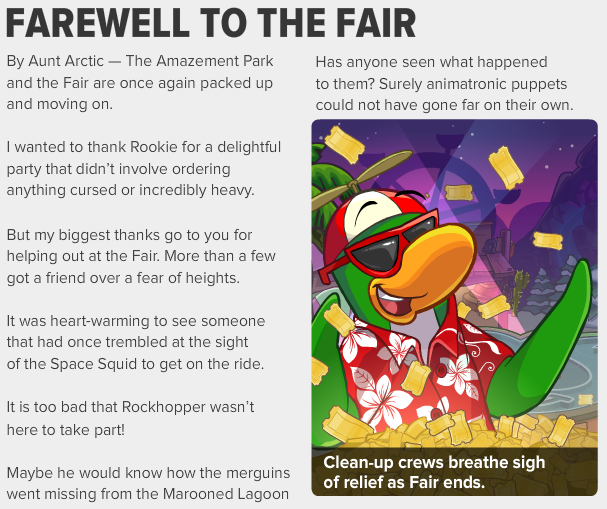 Next, Rookie talks to us about The Fair ending and about the merguins missing from the Marooned Lagoon. What?! First an arcade machine gets stolen and now it's the merguins?! What do you think it going on here? I am suspicious. Of course, we have the upcoming events for this weeks newspaper issue. 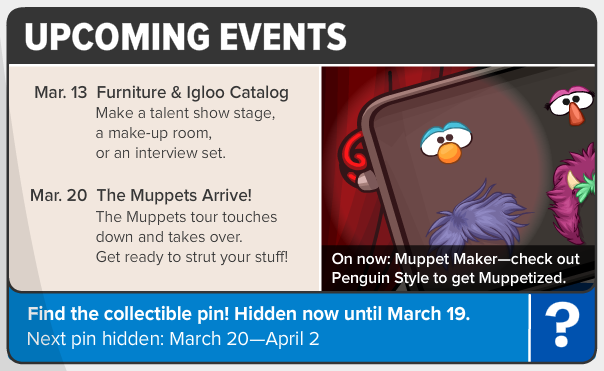 The new furniture and igloo catalog will be released next week on March 13 and The Muppets will arrive to the Club Penguin island on March 20!